BlackBerry was once called “The Kind of Smartphone” for decades, but everything has changed and its position is now under control of Apple iOS, Android and Windows Phone. Currently, with a small market share (~1%), BlackBerry is trying its best to bring back what is theirs but it seem likes everything is not going smoothly. There are so many obstacles along its way. There are so many reasons and a lot of analysis about its fall-down, but no one knew it better than BlackBerry itself. In early 2013, BlackBerry announced that they will make BBM available across platforms, and it quickly adapted million people around the world. But look back to Cambodia market, BlackBerry and BBM is still very new and strange among Cambodian users. Almost 100% of Cambodian users are not aware of BlackBerry or BBM. I admit that a lot of Cambodian users are using WhatsApp, Viber, Lines, Skype or even WebChat, but not many people are using BBM. In reality, BBM is one of messenger applications that you can do the same to what other messenger applications does. With BBM, you can send messages, voice messages, or even video conversation with high-clear voice and video quality. BBM designed to be simple, effective and easy to use. One most important point of BBM, it won’t burn up your smartphone/tablet’s RAM. Not like what Viber, Lines or Skype does. Now, with new updated version, BlackBerry includes BBM Enterprise, BBM Meeting to its BBM and received positive feedback from customers since BlackBerry is the “leader in enterprise mobile solution”. You can download BBM from BlackBerry by click on this link and select BBM version for your platform. To download BBM please click here. April 3rd, 2010 Apple introduced its first generation iPad with 9.7 inches and flawless design. First day it was publicly introduced, the world was collapse and turns everyone’s interest from personal computers which was ruled by “laptop” to new device that light, fast, mobile and stylish, iPad instead. 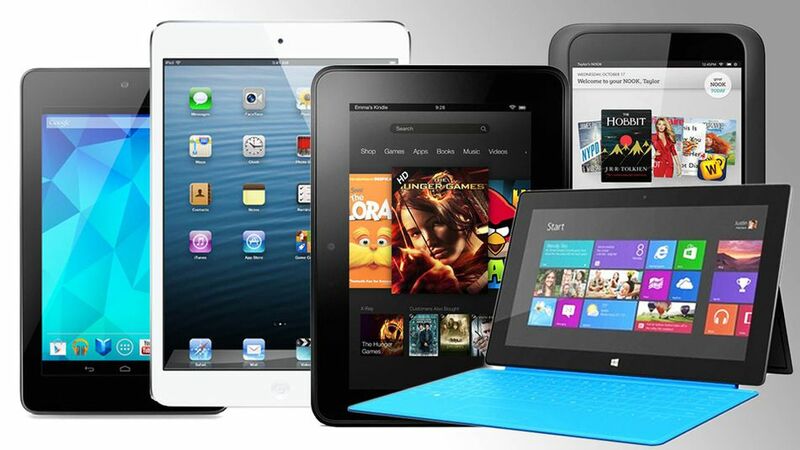 Just moths after iPad introduction, many companies including HP, Samsung, Sony and HTC introduced their tablet devices that powered by Android, an operating system which buggy and memory-burning at that time. But unfortunately, not so many of them were succeed, classic example, HTC terminated their first Android tablet just months after introduced. Nowadays, it is seem that tablet’s era is getting into a position so called “Mature” of its growing journey. In result, iPad’s sales or Samsung tablets didn’t show much grow as it used to be last year. The competition is just getting tougher while the products is not much different in terms of design and features from generation to generation. Tablet should not replace PCs because it is made for mobility, stylish and on-the-go tasks, but not for super heavy task or even complex spreadsheet calculation. Motorola one of the world most known smartphone company is about to have something special for its fans. I am sure that everyone still remember the smartphone that made by this company called, Motorola RAZR V3, the world fist thinnest smartphone which introduced in 2004. Since then, Motorola became the name that everyone smartphone users knew about. But this past few years, Motorola seem didn’t make any impact or any interesting to bring back their popular again, the result of this, in 2012, Google announced that they successfully bought Motorola to become the part of their company. Today, Motorola will introduce to each and everyone of us something which it is till in secret but many people, many technology websites including Engadget also predicted that “Today Motorola will introduce their brand new design Android smartphone at Moto X Event”. That’s a good news for the users but it is also a bad news for other mobile phone companies while they will have to compete with another competitor which will get full support both software and hardware from Google, the own of Android OS. So, let’s wait and see what will Motorola introduce at their event and how interesting it will be.